Does Playing an Instrument Improve Brain Function? Through elementary and middle school I used to play three instruments. The idea that people who play musical instruments have better cognitive function compared to those who don’t interested me. I read an article that explains that playing an instrument involves both your central and peripheral nervous systems and makes brain precisely process auditory, sensory, visual, and emotional information. The ability for the brain to process this information depends on neurons which communicate to each other by firing electrical impulses, also known as brainwaves. Nina Kraus, a neurobiologist, describes how these brainwaves can be used to evaluate how the brain processes pitch, timing and timbre(components of music). In two studies MRI’s were able to show how the structure of people’s brains who play an instrument change. In the first study an MRI was taken of people who practice piano on a regular basis in comparison to those who don’t. The MRI showed that the musicians had a greater structure of white matter; this is interesting because people who have amusia (tone deaf) lack a consistent structure of white matter. In anotherstudy conducted in 2003 by Gottfried Schlaug and Christian Gaser it was found that the amount of gray matter in auditory, motor, and visual regions of the brain was different between high- practicing musicians, low-practicing musicians, and people who have never played an instrument. The differences had a p value of less than 0.05, therefore, the results show that something is going on. The researchers also found that there was a greater volume of grey matter in the cerebellar cortex of high-practicing musicians, which is important in cognitive learning and music processing. This difference also had a p value of less than 0.05, so the null hypothesis can rejected. The researchers discuss that since they were able to find multiple structural changes it is not likely that they occurred naturally and that more studies are needed. In 2012, a study performed by Hanna Pladdy evaluated how practicing a musical instrument, for more than 10 years, could improve cognitive function later in life. Pladdy describes that since it was impossible to control the participant’s daily activities it was hard to differentiate if the cognitive changes were due entirely to musical training. There were 70 participants (59-80 years old) divided into musicians who had 10+ years of musical training and non-musicians. 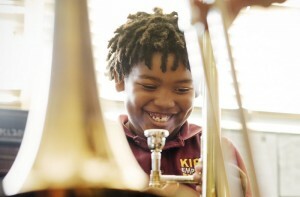 She found the musicians scored higher in tests that involve verbal and motor skills. 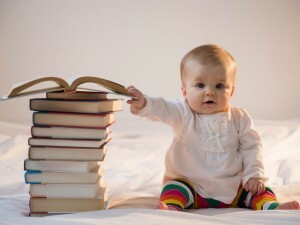 Additionally, Pladdy found that those who started practicing before the age of 9 had increased verbal <a href=”http://www.wisegeekhealth.com/what-is-verbal-working-memory.htm#didyouknowout”>working memory</a>in adulthood. She also suggests that beginning training at a young age and practicing for at least 10 years could make up for less education; the participants who showed the greatest differences had received less education. The study had a low number of participants so the results are not that reliable, however, they provide evidence that something is going on. A subsequent experiment, published in the Journal of Neuroscience, conducted by Nina Kraus in Los angeles evaluated the effect of the Harmony Project (a non-profit organization that provides music lessons in low-income areas). Kraus explained that, in general, children in low-income areas have a harder time discriminating consonants because statistically by the age of five they are exposed to fewer words than other children. Kraus conducted a randomized unblinded controlled trial by randomly dividing the kids on the waitlist for the program into two groups. The first group would be tested after taking 1 year of lessons and the second group would be tested after two years of lessons. 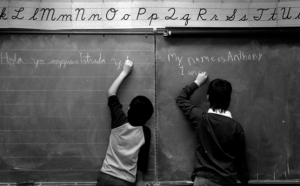 The results showed that the brain processing for children in the second group became more precise and the brain was able to process consonants faster and more efficiently;therefore school and daily life would become easier. Kraus acknowledges the problems with this study since only children ages 6-9 were used and it was not performed in a control lab setting(no way to know if outside activities the kids were engaged in were the reason for their improved cognition). Although the studies some flaws whether it be small participant groups or an inability to evaluate confounding variables, I think that the results show evidence that this question should be evaluated further. None of the studies were able to reach a clear conclusion, however they were all published which shows that the researchers believe that the findings are big enough to be studied further. So do people who play instruments have a better cognitive ability? I can’t say yes or no, but it can’t hurt to start up a new hobby. We all know that moment when you drop a piece of food on the floor and have to make the quick decision of whether you want to eat it or not. Is the five-second rule really safe? Are we putting ourselves at risk of getting sick? I’ll admit that I have eaten food that I’ve dropped on the floor, which is why I wanted to look into the effectiveness of the five-second rule. I first looked into some basic statistics about bacteria. The Centers for Disease control found that food contamination, from being dropped on the ground, was the 6th most common factor for food poisoning out of 32 outbreaks. Further, a study done in 2015 stated that out of the 9,000 types of microscopic organisms in our homes, 7,000 are mostly harmless bacteria. Bacteria is everywhere, even if we don’t realize it; researchers found that we release 38 million bacteria cells into the atmosphere every hour. Although most bacteria in our homes are harmless and can help us develop a stronger immune system, is it still two risky to eat food that has fallen on the ground? I found a couple studies that explored the question of the degree that different foods are contaminated across different confounding variables: the surface of the ground, the moisture of the food and time. The first experiment was performed in 2007 by Paul Dawson, which studied the survival time and contamination of Salmonella Typhimurium to sausage and bread using wood, tile, and carpet. The study concluded that 99% of the bacteria contaminated the sausage after 5secs on the tile. When compared to the wood and tile the sausage was contaminated less than 0.5% when it was dropped on the carpet. It was also concluded that the survival time for Salmonella Typhimurium is up to 4 weeks on dry surfaces and is in high enough populations to immediately contaminate food when dropped. A second two year experiment was conducted by Donald W. Schaffner, a food microbiologist at Rutgers University, and Robyn C. Miranda, master’s thesis student, that evaluated different contact times using 4 different surfaces (stainless steel, ceramic tile, wood and carpet) and foods (watermelon, bread, buttered bread, strawberry gummy candy). The foods were dropped from 5in onto each surface which was pre contaminated with a bacteria like salmonella. The study used 4 different contact times(amount of time it took the food to hit the surface). The trials were replicated 20 times each, which gave 2,560 results. The experiment concluded that there was a direct relationship between the time food was left on the ground and the amount of bacteria that transferred. The carpet had the lowest transmission rate out of the 4 surfaces. Also foods that had more moisture collected more bacteria; the watermelon was contaminated the most and the gummy candy the least. Since the study was large and evaluated multiple confounding variables it can be concluded that bacteria contaminates food instantaneously. 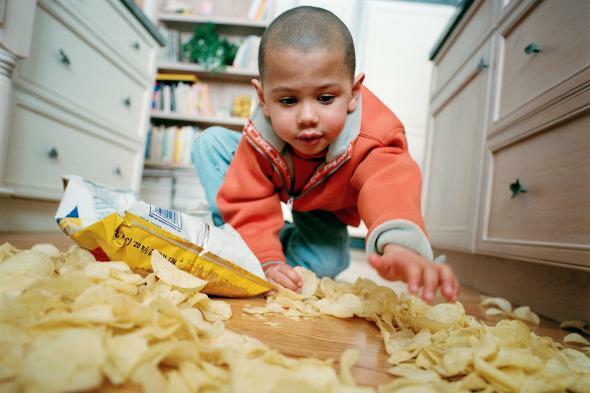 Both studies agree that food is contaminated immediately when it is dropped on the floor. However, the longer the food remains on the surface and the moisture of the food are factors that can lead to more, or less transferred bacteria. Therefore, the five-second rule is up for you to decide. The evidence proves that your food will be contaminated, however, there have not been studies to prove if the amount of bacteria that transfers is enough to make you sick. In this article the scientists who performed these experiments discuss whether or not they follow the five second rule. They all have mixed opinions and it comes down to personal preference. I know that after reading about how quickly bacteria contaminates food I’m going to think twice before eating something I’ve dropped on the ground. Are You Sure You Want to Pull an All Nighter? There’s a test coming up and you barely have any time to study, first instinct is to pull an all nighter. Well you’re not alone, at the University of Cincinnati a survey found that 60% of college students have pulled an all nighter. It’s common knowledge that without sleep it’s harder to concentrate and learn new things, yet pulling an all nighter or staying up really late to finish studying can seem like the best option. This made me question how the brain stores memory and if pulling an all nighter is really that bad. I found that there are two main stages of sleep, slow wave sleep (SWS) and rapid eye movement (REM). There are also two main categories of memory; declarative (factual memories) and procedural (ability to remember how to perform certain actions or skills). Sleep is essential because it quiets mental and behavioral stimuli; therefore, the less sleep time you have (or sleep in a certain stage) can make it difficult for your brain to consolidate new memories. I was able to find a couple of studies that show a correlation between sleep deprivation and a decrease in accuracy and memory retention. One study measured the correlation between amount of sleep time and performance accuracy. The first was a computerized finger tapping test. Researchers found that there wasn’t any improvement, in the participant’s accuracy of pressing key sequences, 12hrs after they woke up. 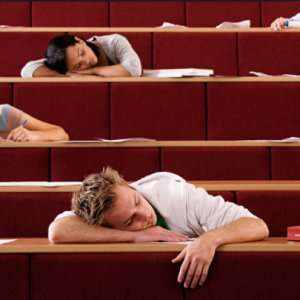 However, there was a 19-21% improvement in performance when the participants slept right after they learned and for those who slept for up to 12hrs after they were taught the sequence. The results had a P value of 0.01, which means that the null hypothesis can be rejected and, therefore, something is going on. Another 3 day study measured participants ability to remember two short stories after being given different amounts of sleep. In the experiment, 20 participants were given two short stories that they were tested on in the morning of the 3rd day. On the first night the participants were either interrupted during stage 4, interrupted during REM sleep or given a full night’s sleep. Both groups were given a full night’s sleep the second day. Then on the third day they were tested on the stories. The results show that those who were disrupted during REM sleep did worse. This is interesting because REM sleep is only 20-25% of your total sleep time, so it can be assumed that it’s an important part of sleep for absorbing memories. Since there aren’t many subsequent studies, this result can be due to chance, but it still provides an incentive for us to get a full night’s sleep. Therefore, a full night’s sleep is important for the consolidation of memories, however, another component of an all nighter is your ability to function during the day. An additional study tested participants ability to learn after being sleep deprived. One group was allowed to sleep normally (control group) and the other group was deprived of sleep for a night (experimental). The group that was sleep deprived had a 40% reduced ability to learn new information the next day than the control group. This shows that the results can be due to chance and if there is a difference, it is not a big one. However, the experimental group also showed less hippocampal activity (the hippocampus allows you to make new memories), which researchers describe can be linked to an inability to learn new information. The studies have not been on a large scale as some have a group of 20 participants and others don’t say the amount of people they used in the study. This limits the degree the results can be used toward a valid conclusion since experiments performed on a larger scale allow for more concrete results. Also the age groups of the participants weren’t mentioned either, which makes me question whether the consolidation of memory can be differ with age. Despite this, the results give us enough certainty to determine that staying up all night to study will not only make you perform worse in the morning, but it will also set you up for not being able to absorb what you are learning the next day. So pulling an all nighter should not be your go to solution for an upcoming test. Do People Take Longer if Someone is Waiting? I’ve noticed multiple times that when I’m waiting for someone to leave their parking space, and they realize that I’m waiting for them, it always takes a really long time. This made me wonder if people subconsciously take longer if they realize someone is waiting for them. I found a study that was conducted by R. Barry Ruback and Daniel Juieng, in 1997, which tested multiple hypotheses. 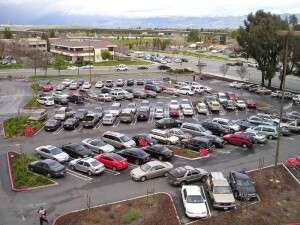 They wanted to test whether people would take longer to leave their parking space if someone is waiting, if longer departure time correlates with a more aggressive intruder(someone waiting to take their space), and if people are conscious of how long they take to leave a space when there is someone else present. The researchers discuss that humans are territorial. If someone has a claim over something they are not going to want to give it up, even if it’s something you don’t need anymore. This behavior was apparent in a study which showed that people took longer on a pay phone if someone was waiting than if they were alone. In a different article I read that humans are territorial from a biological and cognitive standpoint. For example, we will often defend stuff that belongs to us (house, car, office), things that we use often (favorite seat in class), and public areas. person realized someone was waiting for them. Out of 200 people, 38% were intruded by someone wanting to take their spot. Their results showed that the race and type of car had no effect in the departure time. However, the departing drivers took longer when they were intruded. The researchers acknowledged that this increase in time could be due to the fact that the departing drivers wanted to make sure they weren’t going to get in an accident. The second study followed a similar process, it was randomized and blind. This time they measured departure time depending on the level of aggression of the intruder (if someone was honking the horn or not), how expensive the intruder’s car was, and if there was a distraction (another car driving by where the parking space was). They also included a control group, drivers who departed without anyone waiting for their spot. They recorded the actions of 240 drivers (they also noted race and gender). They found that people departed slower when the intruding car was honking. But the departure times of those who were intruded (without honking) and distracted were very similar. An interesting finding was that when the intruding car was of low status the men departed slower than women. And, in contrast, when there was a high status car the men left faster. Ruback and Juieng suggest that this could mean that men are more territorial and more aware of status. The third study was a questionnaire that asked participants ages 21-62 about how they would feel (on a 7-point scale from bad to calm) about leaving a space given certain conditions. They said that they would leave sooner if someone was waiting and would take longer if the person honked at them. In the second part of the questionnaire they were asked to rate how they think others would act. The results showed that they think others would behave similar to them, however, they claimed that other people would take a little longer to leave if someone was waiting and if the car honked. Ruback and Juieng concluded that there is enough evidence for further studies to be conducted and that they think the results showed that people wait longer to leave due to the idea that if someone is trying to take your space, you may feel like you have less freedom. Remaining in the space, even if it’s for only slightly longer, would help regain your control over the situation. Unfortunately I was unable to find any other studies that have looked into this hypothesis. This was disappointing since these results are from a really long time ago. However, I think this study was well executed because they took into account confounding variables and discussed some of the problems with their results. I think that after looking at their results I could conclude that people do take longer, but without realizing it. It’s part of our nature to be territorial. 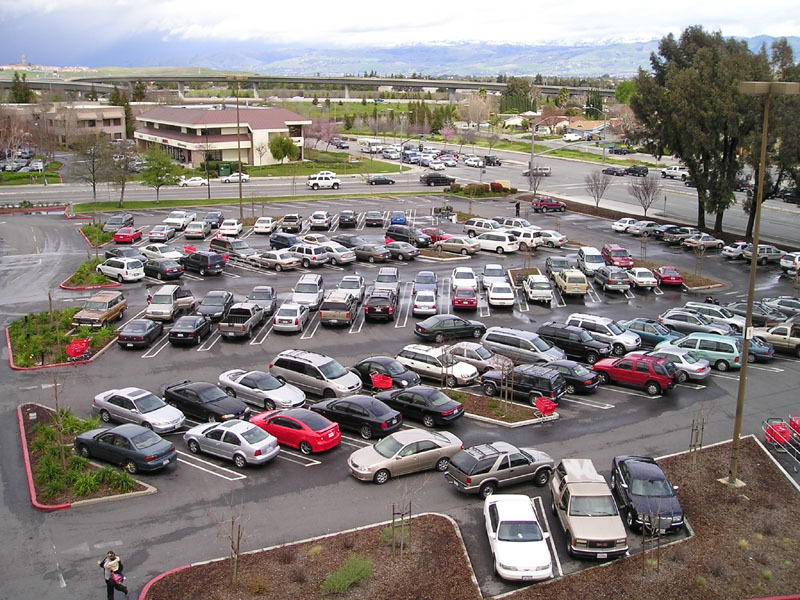 Maybe next time you are leaving a parking space try and think about how long you are taking. Hey SC200! My name is Katherine, but people normally call me Kat. I’m a freshman in the College of Communications and I’m majoring in Telecommunications with possibly a double minor in Music Technology and Psychology. I’m from Westchester, NY, which is roughly forty minutes outside the city so transitioning to Happy Valley has been really cool. While I was creating my schedule my advisor asked if I like science and surprisingly enough I do. Last summer I took courses in Neuroscience and Physics of Sound and Music. Although I was challenged I found the classes to be incredibly interesting. Unlike high school, where the science classes were very one dimensional, these courses showed me that science is way more complex and requires a certain way of thinking. Therefore, I’m taking this course because I think that it will challenge me to think and teach me how to interpret science in a different way. Although I like science, I don’t like it enough to be a science major. I usually find science classes to be interesting, however I have never considered pursuing a career in science. This is because I wouldn’t be able to succeed in a field where equations and mathematics play a fundamental role. I’m always up for a challenge, but I want to major and ultimately work in a field that I find both interesting and know I will enjoy. I am really excited to take this class because instead of it being centered around one topic it explores a plethora of more generalized topics. I’m specifically interested to learn about space and what the universe is made of. Space is a topic that really scares me; I get the chills whenever I think of the magnitude of the universe. 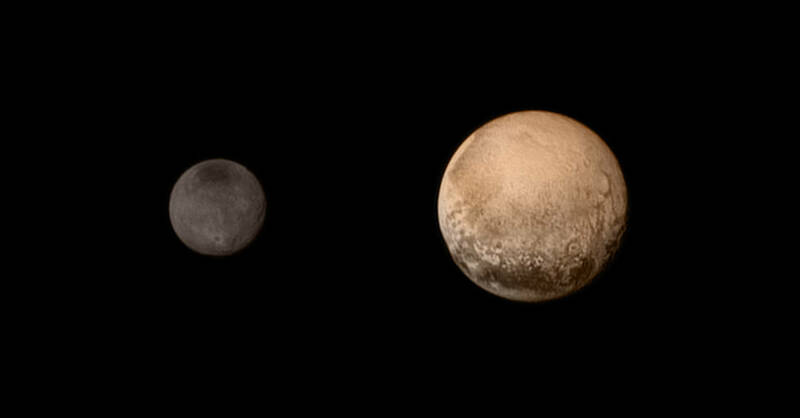 But I’ve always enjoyed learning about the planets and came across this article about what children are being taught about Pluto. I think this is cool because I remember when I was in elementary school I was told that Pluto is a dwarf planet but I was never taught the reason. Ultimately I think that taking this course will help me think more critically about topics that I’ve never thought about. This entry was posted in Uncategorized on August 31, 2016 by Katherine Guerney.